The Narendra Modi government wants to introduce a 10% reservation in government jobs and higher education for economically weaker sections among the upper castes, as well as all other communities which do not enjoy the current reservation benefits. 1) Politically, this is a sign of desperation. Having failed to largely achieve what it had promised in the 2014 Lok Sabha polls and having lost three recent state assembly elections, this is the last throw of the dice from the Narendra Modi government and the Bhartiya Janata Party. It is an attempt to seize control of the narrative which the Modi government has lost over the last six months or so. Currently, the Indian constitution does not allow the government to introduce reservations for the economically weaker sections of the society. This will need to change. A constitutional amendment will need the support of two-thirds of members present for voting in the both the Lok Sabha and the Rajya Sabha, and not less than half the strength in both the houses. It will also have to be ratified by half the state legislatures. Given this, it will be interesting to see how quickly the government can push this through. Also, this is bound to be challenged in courts. 2) The bigger question, which I have often asked is, does the government create jobs anymore? The answer is no. Let's look at some data in support of this. Take a look at Figure 1, which plots the number of central government employees over the years. Table 1: Does the government really create employment? Between 2000-2001 and 2018-2019, a period of nearly two decades, the central government jobs have grown by around 7.3% in absolute terms. This works out to around 0.4% per year. If we take a look at the Modi years between, around 1.78 lakh jobs have been added, at the central government level. This works out at around 45,000 jobs a year, on an average. If a reservation of 10% would have been in place for the economically weaker sections of the society, it would have added 4,500 jobs per year for them. In the context of India, where 10 million youth enter the workforce every year, 4,500 new jobs is close to zero. And they've identified 13 potentially profitable stocks that you could consider adding to your portfolio right now! Click here for full details on Sarvajeet and Radhika's stock picking strategy – and to get access to these 13 stocks. 3) Of course, central governments jobs are not the only government jobs on offer. Let's take a look at the total number of employees employed by the central public sector enterprises, over the years, in Table 1. As can be seen in Table 1, between 2006-2007 and 2016-2017, the number of people working for central public sector enterprises has gone down by close to five lakhs. In this case, the government has been destroying jobs and not creating them. 4) Let's take the case of public sector banks. In 2012-2013, the total number of employees had stood at 8.77 lakh. By 2016-2017, this was down to 8.67 lakh. This is another case where government jobs have gone down. 5) Let's look at state government jobs where the data is a slightly outdated. As of 2011-2012, the total number of people working for the state governments stood at around 71.84 lakh. In 1990-1991, it had stood at 71.13 lakh. In between, it had risen to 74.80 lakh in 1996-1997, and has been falling since. There is no reason to believe that this trend has been reversed since 2011-2012, given the financial condition of the state governments across India. Even if there has been an increase, it can be marginal at best. In fact, when the Jat agitation broke out in Haryana a few years back, I had written a piece for Equitymaster, where, I had pointed out: "Between March 2001 and March 2014, the number of employees of the Haryana government went up from 3,19,027 to 3,40,698. This means an increase in jobs at the rate of 0.51% per year, over a 13-year period. This is slower than the rate of population growth." 6) Looking at all this data, it is easy to conclude, that governments don't create jobs in India anymore. Hence, any reservation in government jobs for the economically weaker, is basically meaningless. To put things simplistically, 10% of zero, is still zero. 7) One point that people have made to me on the social media is, but what about the reservation in education? 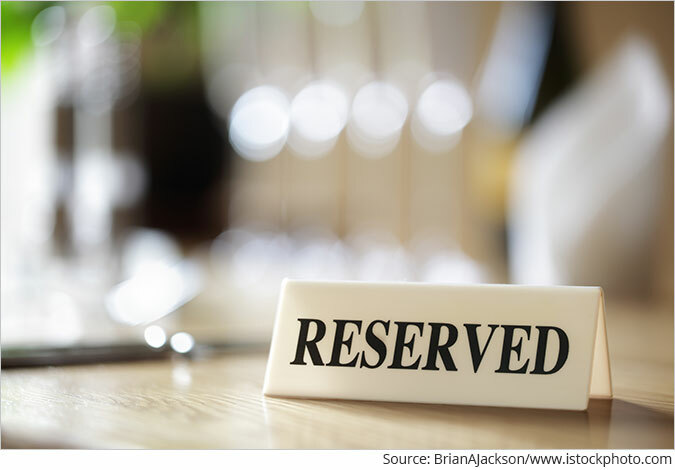 In this case, I would suggest that they look carefully on the criteria that has been proposed for the reservation; practically everyone qualifies. Given this, what is the point of the reservation is question well worth-asking? 8) At a recent literature festival I was a part of a panel discussing India's jobs crisis. The final point I made in this discussion was that Indian governments do not create jobs. And given this, it leaves me surprised that no politician has seized on to the narrative of reservations in the private sector. The chief minister of Bihar Nitish Kumar has been talking about it. But Bihar barely has a private sector, hence, his talking hasn't made any difference. Nevertheless, this is something that is bound to get picked up by a canny politician, sooner rather than later. The 10% reservation to economically weaker sections will only give a fillip to this demand. 9) Reservations as a solution to jobs, is a very 60s and 70s formula of doing things. The problem is we are in the teens now. The government cannot create jobs. This has been more or less proven over the last three decades. What it can do is create conditions which create jobs. But that requires a lot of hard work and getting rid of the current way of doing things. Hence, on that front this government as well as the previous one, have failed miserably. We request your view! Post a comment on "Reservation for Economically Weaker Sections - Dear Mr Modi, 10% of Zero is Still Zero". Thank you for posting your view! 11 Responses to "Reservation for Economically Weaker Sections - Dear Mr Modi, 10% of Zero is Still Zero"
Ram Vilas Paswan had made this an election issue last election . But ever since he is part of this government he is silent on this. May be after losing forthcoming elections he would once again start demanding job reservation for SC/ST in private sector . Unless of course he shifts sides and is in government once again ! Point # 7, the 10% reservation for EWS is definitely going help the poorest among the group. Even though upper limit makes them all qualify for EWS quota, in order of income the one with lower income will automatically be higher in the merit list. In other words, we can say the merit list of General category will now get cast on economic criteria. And that is good thing to happen. 10% of something is something at least. Dear publisher, This article is full of twisted figures and beyond simple logic. In point 2 you are comparing full workforce against 10% of poor general category jobs that too central govt jobs. There are 45000 central govt jobs against 10 million people entering workforce as per you. Everybody knows central govt jobs are very few and can't be expected to be given to entire youth population. Who will cater to state govt jobs, or rather private sector jobs? It is an irony that distinguished economic analysts in our country believe all 10 million people should be provided jobs. Are we a country of jobseekers? Don't we have guts to create jobs and be entrepreneurs? It is disappointing to see all so called enlightened people to always criticise govt and not providing solution. Do not ask what nation can do for you, ask what you can do for nation. When the present government is doing better job than previous govt. and still trying to further improve their performance in the best interest of the entire nation, the support is not coming from some section of the pubic who are very much influenced by some group of people who are doing wrong publicity ( some group of people = people who are corrupt and so far enjoyed public money, now having fear to get booked due to their corrupt practices are doing wrong publicity repeatedly. Also trying to see the defeat of present govt. in the coming parliament elections. ) Is there any body either public or media who can suggest the present govt. some steps which can bring better results to the nation with out bringing any controversies. It is easy to comment when some one does certain things but one should understand how difficult it is to rule a country ( which has nearly 130 crore population ) with out corruption and with so much negative things around. This is good news for open category in educational institutions who do well but still do not get seats in professional colleges, forget about job! Job are merit based and best will somehow start up or fine one or go outside India to find one. This demand of Low/middle income group in past 35 years ago since not met and now PM Modi made it happen is big positive. The author appears pretty much looking as piece meal on this decision instead of holistic , thanks. The govt lost the game at the time of independance. Because the ruling dispensations since then didn't want to go out to people and seek their opinions and act accordingly. Since then the governments have nutured vote banks and tried to stand tall on a crooked and weak based swaying to every wind and whiff of political. Whichever ruling dispensation won at the hustings won because of crooked, corrupt and cruel politicians. Nobody listened to the message of Gandhi who said that "go out and walk among the people and learn" . No ruler modern or ancient is going to ever follow that and in a large and populous country is next to impossibe because of rule dispensation is ultimately elected on procedures suitable for a relatively small and less corrupt populace. Reservation is a sign of weakness on all sides and is a gimmick to fool voters into voting for whoever mouths the holy word "reservation". Sir, the write up is base on NET jobs created / lost in Government and Public Sector.... But, the gross jobs created will be much more, as vacancies arising out of retirement, death, disability etc are replenished. It does not matter if Reservations are not a solution to jobs and 10% of 0 is 0. All that BJP is looking at is "is it is a solution to winning elections". Politics time for BJP!, hope you understand this is right step at this point in time. Mr.Vivek, your chart and comments are good. Please do not get me wrong. Your write-up clearly makes us understand that Government is not the problem here. It is POPULATION. Simply cursing efforts of any government would do no good to any body. It is complete de-motivation. We all know the problem of our India is unique in itself considering its diversities in each area. If nothing is done today by running government, impact would be seen tomorrow. Because something is being done today by them, our deadlines for suffering seems to have been extended/avoided. I suggest your write-ups would be smart if it also highlight solutions in case you can recommend wherever possible. Mere complaining or pointing fingers at hard working people would be more damaging than what current state we are in today. So, Let's all be responsible citizens of India. Kindly take this advice in true spirits. Thanks.